Yoga Boutique that offers High Quality Yoga Merchandise. 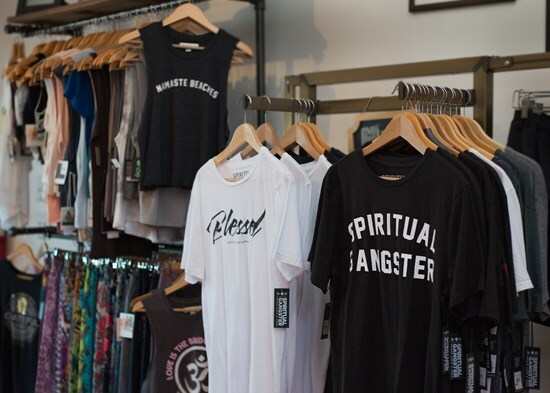 Spiritual Gangster, Onzie, Jade Mats, Teekie, Lululemon, and more. Boutique is open Before and After classes offered on daily schedule. If you can not make these times please email or call studio to schedule an appointment to view merchandise.